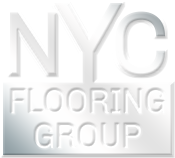 At NYC Flooring Group, we carry a variety of natural stone tile flooring such as marble tile, granite tile, porcelain tile, ceramic tile, travertine tile, slat tile in a variety of sizes ranging as small as 4x4 for bathroom area, and mosaic tiles all the way up to 12x12, 16x16, 18x18, 24x24 for large open areas such as living rooms and business sales areas. We not only supply and install your natural stone, but we also handle full sub floor preparation whether it requires to re-support floor joists, install new cement boards, or installing a new sub floor with mud and wire mesh. Our price match guarantees that no matter where you shop in New York for natural stone tile flooring, you won't find prices lower than ours.